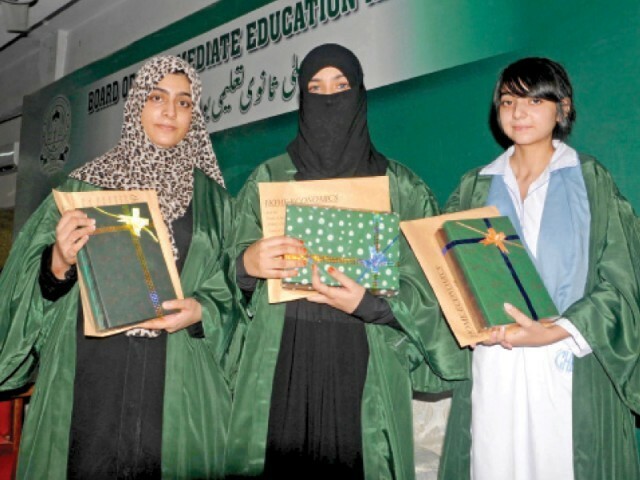 The pre-medical college results announced on Monday by the Board of Intermediate Education, Karachi (BIEK), reasserted the alarming trend of growing gender disparity in the healthcare professions. This year, only 1,603 male students will be eligible to apply to medical colleges as compared to 9,203 females this year. According to the results announced by the education board’s examinations controller, Imran Khan Chishti, a total of 19,902 students sat for the pre-medical exams, of which nearly 75% were girls. Those who managed to pass the exams were 10,833, or 54%. However, this percentage was skewed in favour of the girls since 58% of them passed the exams as compared to merely 40% of the boys. Nearly seven per cent of all students got through with A-1 grades, 16% with As, 15% with Bs, 12% with Cs and four per cent with D grades. Meanwhile, the statistics issued by the Pakistan Medical Association corroborate the concerns posed by Prof Ahmed Zai. Around three quarters of the female students of medicine abandon the field right after graduating or after marriage.